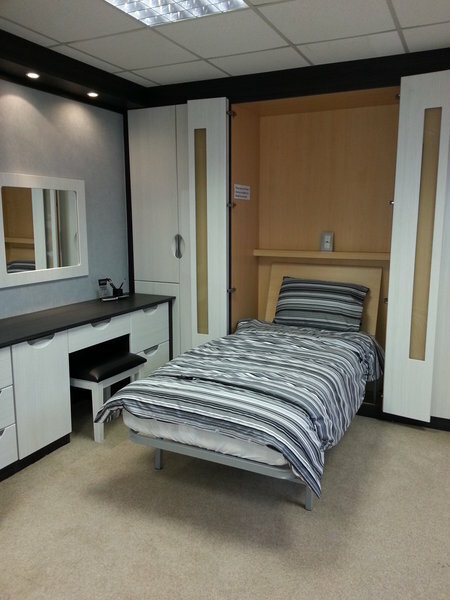 Olton Bedrooms started 20 years ago in a 12 x 12 workshop in Olton. Within the first 12 months we moved into our premises in Lakey Lane Hall Green followed by a further move 6 months later into a factory unit with a built on shop frontage. The growth and success of the business meant a new site had to be sought and some 8 years on into a premises at Olton Wharf. After 4 years at Olton Wharf we have again outgrown the premises and are now in our factory based at Cranmore Industrial Estate. We have spent a great deal of time constantly bringing in new and more advanced furniture e.g. soft closing sliding door systems along with looking at ways of making storage systems that totally maximise space. Wall Beds and Home Entertainment Systems have established themselves within our furniture range and installation of the Hideaway Beds takes us all over the country. We are a genuine family business and we give a full guarantee on all our work and ensure the best quality of service from start to finish. We ordered a fitted wardrobe, 2 freestanding bedside drawers and a bespoke low chest of drawers to fit a bay window. The staff were welcoming and gave excellent advice, talking us through the large number of options available in terms of look, layout and style of handles. Everything was fitted on time and to the agreed cost and everyone at Olton bedrooms has been friendly and professional throughout. When we noticed a minor thing that required rectifying a few months later they came round the very next day and rectified it. We are very happy with their work and highly recommend their services. Everything was very impressive... from the initial showroom visit and the subsequent quotation to the actual installation. 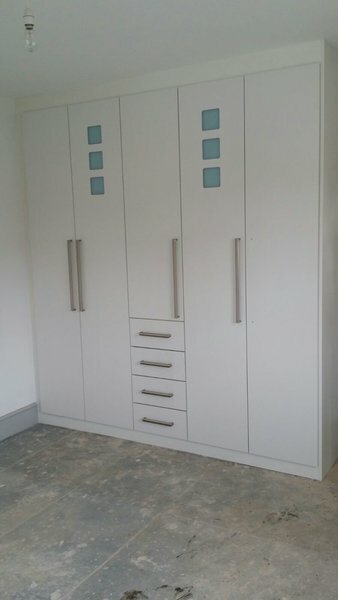 The fitted bedroom furniture is very high quality and the work was undertaken in a timely manner on the agreed date. 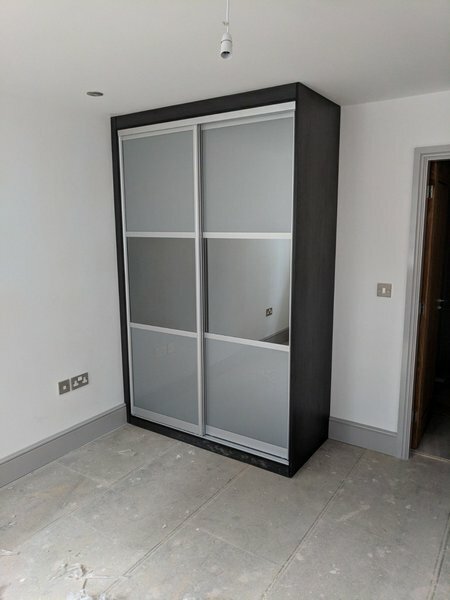 We had never heard of Olton Bedrooms Ltd until an internet search towards the end of last year and this was a 'great find'. Have used this company twice and on both occasions I have been extremely pleased with the quality of the bedroom furnishings installed and the quality of the work together with the pleasant attitude of the installers. Would have no hesitation in recommending. 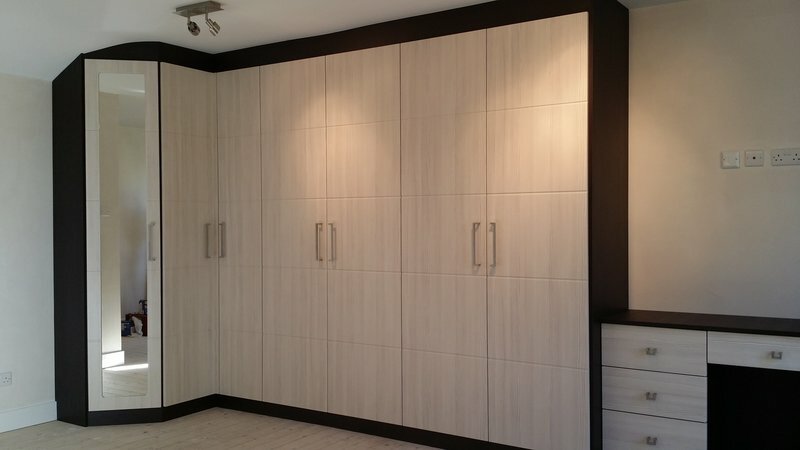 We had a fitted bedroom installed by Olton Bedrooms. We could not fault them. I would highly recommend them. Everything I asked for they sorted out for me and any problems that arose they solved them. Great communication and customer service. They are the sort of business that we need rather than these huge faceless companies. Olton Bedrooms were great to do business with. The pre-sales service and then the standard of workmanship were second to none. We had unusual requirements and changed our minds, but they took it in their stride with a smile. 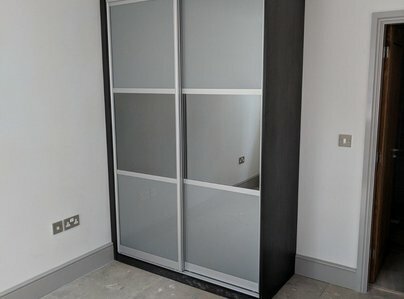 Olton Bedrooms recently fitted sliding door wardrobes and matching bedside tables in my home. The whole experience was excellent from start to finish with no hard sell, competitive prices, very helpful advice on styles, colours and sizing, and willingness to answer questions and queries after the order had been placed. The fitters were polite, friendly and extremely tidy and did an excellent job. 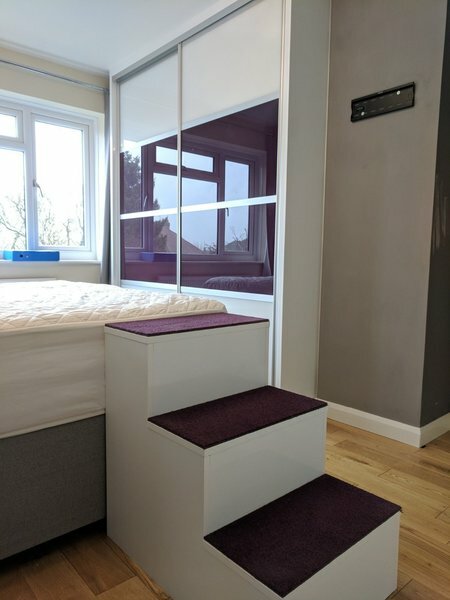 The wardrobes are absolutely stunning and I couldn't be happier, and they even did a set of matching bespoke stairs from my old dog so he can get on the bed more easily. I would have no hesitation in recommending to anyone. Superb and easily 5 stars. From the design through to the fitting. The service was second to none. The designer listened to our requirements and advised how best to achieve our dream. There was a wide range of finishes and accessories to choose from and again advice readily available. 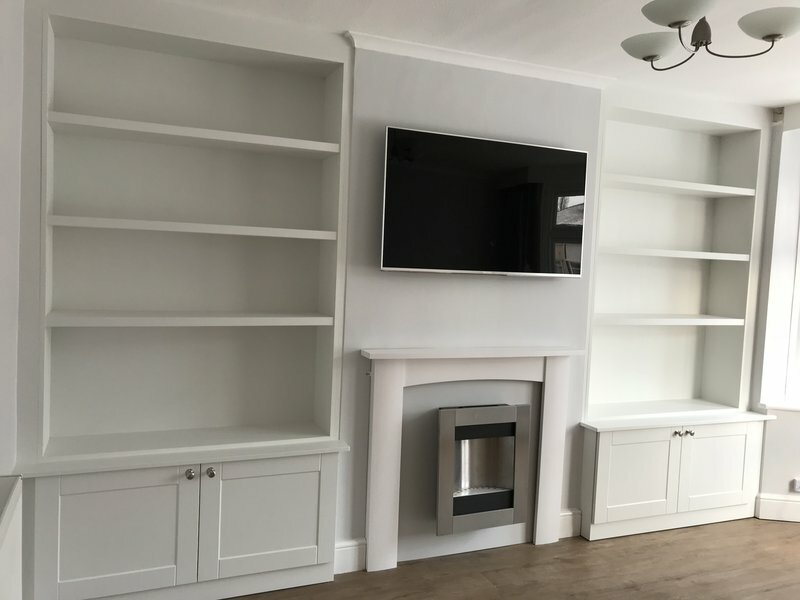 The fitters arrived on time and produced a very professional job and took care of our decoration and cleaned after themselves. I can not speak highly enough of them: the best company I have used ever! Very impressed with Olton bedrooms professional respectfully of your home clean tidy friendly nothing was to much trouble would definitely use them again fantastic team from showroom to fitters love my new bedroom fantastic workmanship can't praise them enough. 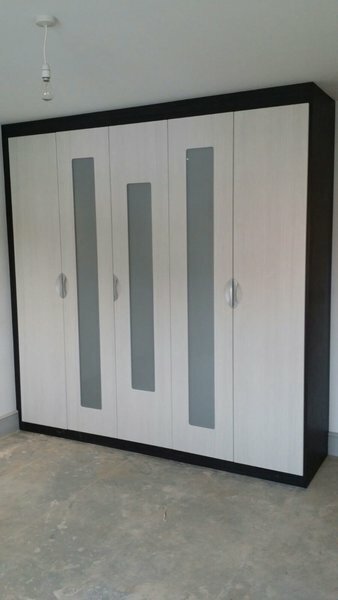 Good bedroom furniture at a good price, well made and well fitted. What was surprising was the level of service. The second day of fitting was very poor weather. We didn't really expect fitters to venture out. However two men (one I think I was the boss!) arrived ringing to apologise for being late. They completed a very good job on time.